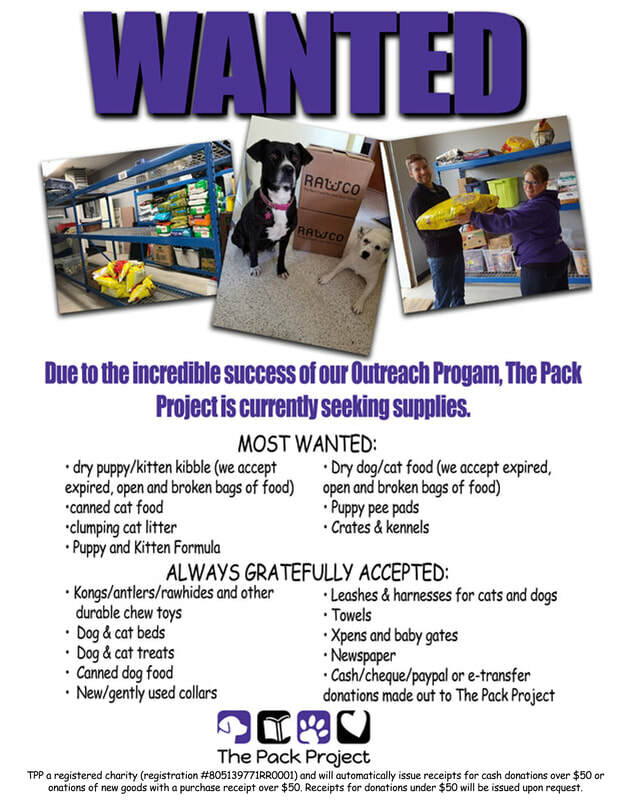 Or, if you wish to make a monetary donation to The Pack Project please click the Donate button below. TPP a registered charity (registration #805139771RR0001) and will automatically issue receipts for cash donations over $50 or donations of new goods with a purchase receipt over $50. Receipts for donations under $50 will be issued upon request. Please provide your full name and address at time of donation. **The Pack Project is now accepting Interac e-transfers for donations, sponsorships and purchases! E-transfers are a convenient way for you to support The Pack Project. They also ensure that the full amount of your donation goes to the Rescue and Outreach Program operations, as TPP does not have to pay any fees on e-transfers, as we do with PayPal donations.